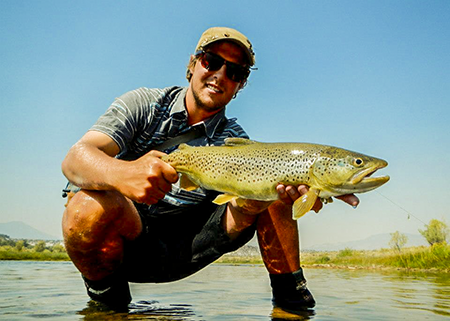 From Utah, Darren’s been flyfishing from a very young age and tutored by his father. His learning country is the rivers of the northern Wasatch Mountains such as the Logan River, Bear River, Blacksmith Fork and many others, plus with his dad he was lucky enough to spend much of his early learning years on the Rivers of Southern Montana. Studied Bilology at both University of Utah and then Weber State which gives him a very good concept of the outdoors, Fish and insects. I am a Salt Lake City native and grew up within a few blocks of our fly shop. 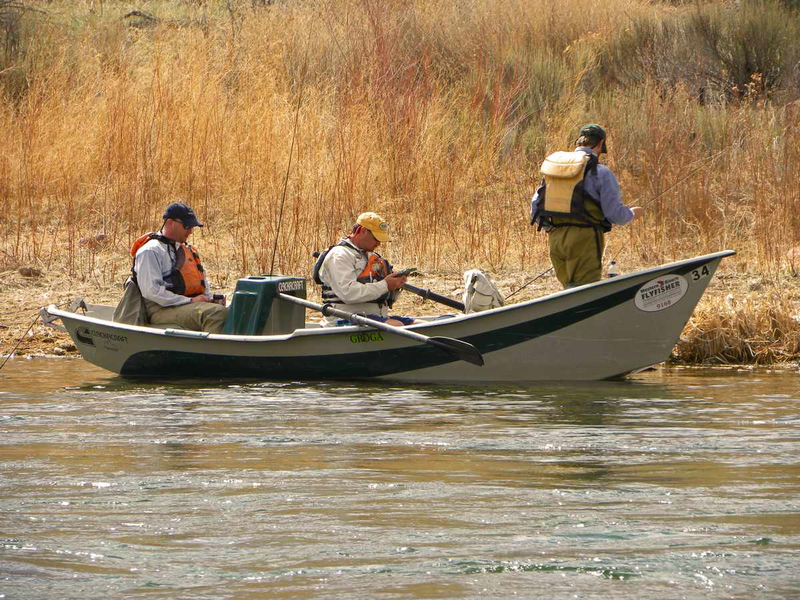 I’m looking forward to a great fourth season of guiding on the Green River below Flaming Gorge. I started fly fishing the waters of northern Utah and Idaho with my dad and brother at a young age with an emphasis on matching the hatch and finding dry-fly fishing opportunities. Learning this kind of fishing in my youth gave me a keen interest in entomology, reading water, patient observation, and clean presentation. I love exploring small streams and still water but was always mesmerized by big rivers, where complexity seems to hold hands with simplicity, and I feel I am constantly learning. Growing up teaching friends how to fish has built a love for instructing and guiding as a whole, and to me, there is nothing more enjoyable than watching clients improve their skills, catch more fish, and in turn have a more rounded, full experience on the river. In more recent years, fishing a two-handed rod with a swung fly as well as stalking the banks with big dry-flies has taken over my free time. I also love chasing warm water species like carp and bass in the summer. I still find some time to snow/skateboard but they’ve taken a definite back seat to fly fishing the last few years. To me, the Green River is heaven. It’s hard to beat its variety of water, scenery, wildlife, and fishing opportunities for novice to expert anglers and the fish are vibrant and healthy. Not to mention the incredible dry fly fishing. This part of our great state will surely keep me busy for years to come. Matt has a strong work ethic and guides with a large amount of enthusiasm. He purchased his first Dory when he was 18 to assist his craving for running rivers. His passion to spend time on the water has played an enormous part in his life. 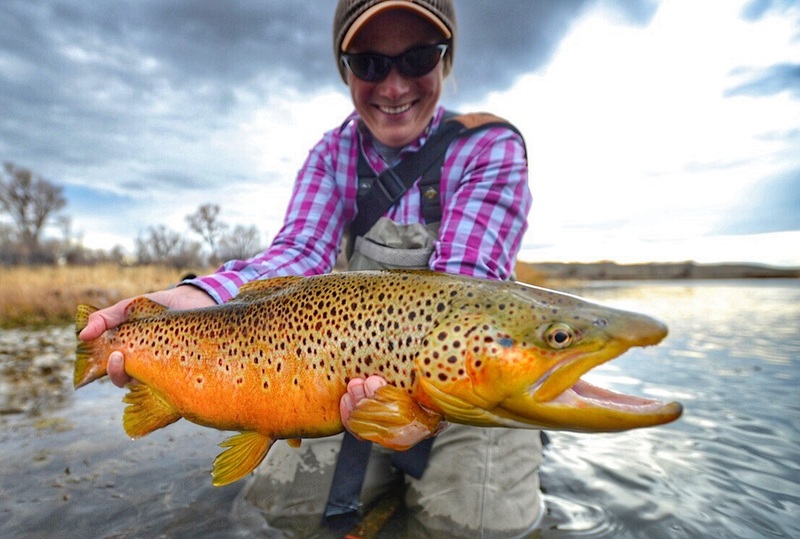 That began by spending a large amount of time stomping around with his Grandfather on the Provo, and Weber Rivers and many of the Stillwater fisheries around Utah. It then became an addiction as he began to find a crew of friends that had a similar calling to moving water and the fish that lived there. His dream from a young age was to become a Fly-fishing Guide. 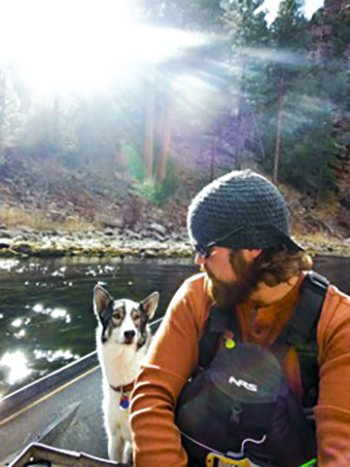 His dream was realized, when he started to work for Western Rivers Flyfishers, and found he shared the views of his co-workers and the shop’s owner towards the overall experience that can be gained by spending time on the water with good company. Matt has true affection for throwing Dry Flies and taking an old school approach to both Fly-fishing and guiding. He is an excellent instructor in all types of fly-fishing from Spey casting, throwing streamers, all the way to achieving the perfect drift with a dry fly. He loves to teach and learn from anyone who is willing to spend time with him on the water. Being born and raised in the upstate of the Carolinas, it’s only natural for my blood to run orange and my heart to be rooted in those wise ole Appalachian Mountains. In 2009, I had the opportunity to spend six months immersed in all things “a-puh-LATCH-uhn”, spanning the length of Georgia to Maine at the pace my feet were willing to allow. Consequences of hiking long distances lead me to California in 2015. Along the way, I was exposed to even older rock that offered its’ own intoxicating appeal: the canyon country along the winding Green River in Utah. I was transfixed then as I am now. Most days you’ll find me on the river dipping oars until complete darkness blankets the slopes of the Uinta Mountains. Other days, I’ll be found spotting tailing carp along the shallows of Flaming Gorge Reservoir. Regardless of the day, my feet have taken a backseat to my arms. There will be that rare occasion when I will not be dipping an oar or getting a line wet. That may mean one of two things… (1) Matt has requested that he “better not see me on the water” that day to allow my body time to rest or (2) I’m molding young minds in all things biologically related in a classroom setting. Raised on a lake in Minnesota, fishing has been Brett’s passion since he was kid. Bass plugs and walleye trolling quickly turned into fly tying and roll casts when his father introduced him to fly fishing at age 10. Skiing and fishing brought him to the University of Montana, and that’s where he “truly developed the skills and appreciation for cold water trout fisheries.” After guide school with Sweet Water Travel Company and a season of work in Missoula; family ties and a passion for “walk-and-stalk” fishing finally brought him to Park City, Utah. 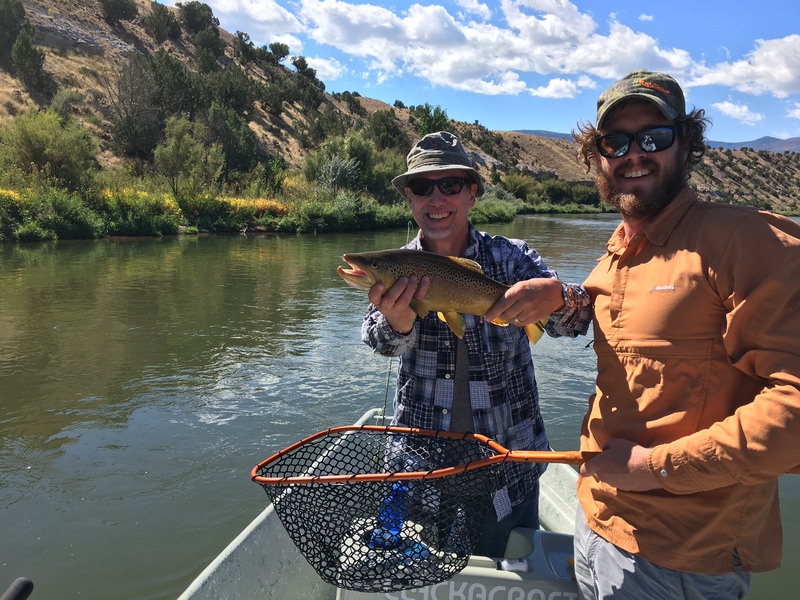 After 9 years of guiding on the waters surrounding Park City, and a few in the boat on the Upper Green in Wyoming, Brett now calls the Utah Green River home. Brett is an enthusiastic guide, with a relentless passion for catching memorable fish. Sight-casting is Brett’s favorite thing to do. When’s he’s not fishing for trout, he’s fishing for “anything in the ocean that can be sight-casted to”, with tarpon as a favorite. This passion for sight-casting to big fish, fresh or salt, and a reputation as a hard working guide, earned him a spot on Hatch Reels pro-staff 5 years and running. When away from fishing, you’ll find Brett skiing Utah’s famous snow at Alta Ski Resort, or hunting and working his dog Winston for ducks and pheasants. Growing up in Ohio, my passion for fishing started with a cane pole, night crawlers, and a bobber in my Grandfather’s farm pond. This, at an age I don’t remember, was the start of my addiction. He gave me my first fly rod on my tenth birthday. What started as poppers, and wooly buggers for large/smallmouth bass, quickly morphed into chasing steelhead in the Vermilion River by the time I was finishing up middle school. After graduation, and some time working construction, the mountains called me out west, and it’s been hard to look back(though I still head down to the shale cliffs, and red mud of Swift Hollow every chance I get). Guiding has been an invaluable, and rewarding experience for me. As well as a challenge I can always improve on, and learn from. 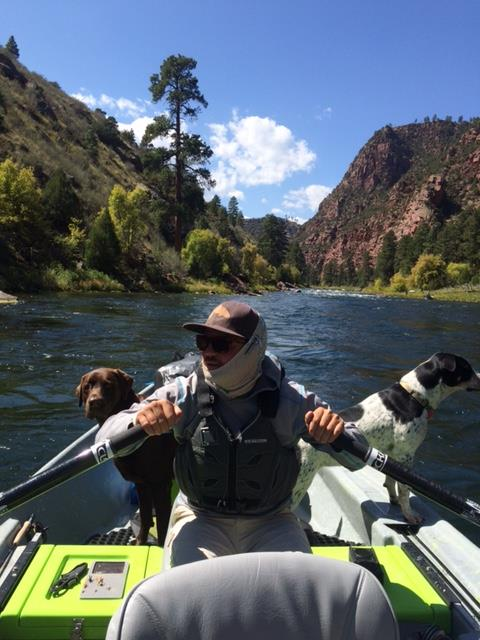 Your safety, and experience are the most important aspects of a day on the river with me. I don’t count fish, nor keep them. Stay in your knee locks, and if you do end up in the drink, keep your feet up!